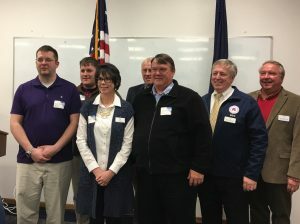 FORT DODGE-Fourth District Republicans met to elect new leadership to the District Executive Committee that assists in coordination and planning among county parties in the northwest Iowa Congressional District. The chairs and co-chairs of the 39 counties in the district are members of the DEC with an additional member from Woodbury County due to the population. 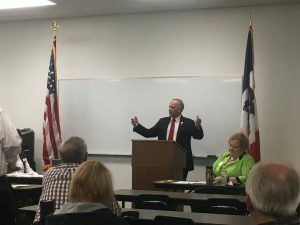 Congressman Steve King spoke to the audience about some recent tweets that have brought him attention. 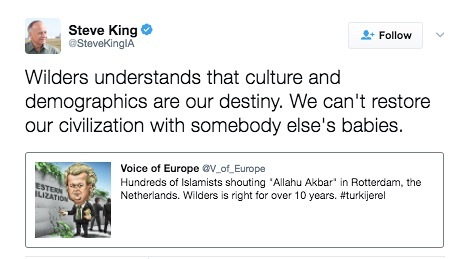 “I also tweeted about repopulating our country with other people’s babies in reference to culture. There are 24 first world countries. Other than Israel there are no first world counties with higher birth rate than their death rate. I was not talking about race. If I want to say race I say race. If I want to say culture I say culture. And people redefine words after you say them. For instance the meaning of these words has been coopted. If you say you are against illegal immigrants they now say it means you are against immigrants. 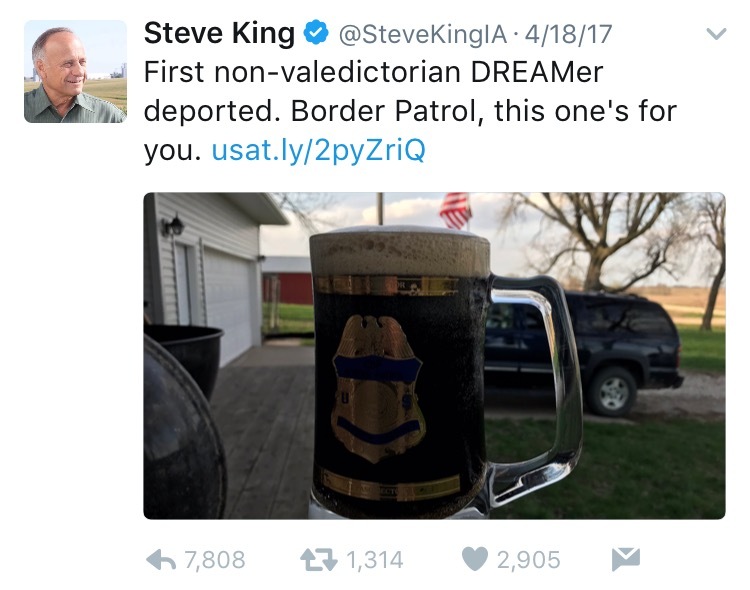 A wall doesn’t mean a wall. It could be a fence. It could be a balloon with a camera on it. It could be an electronic sensor. It could be more boots on the ground. We need to keep control of our language. This society cannot function if we don’t understand the words in our culture. We need to understand the words in our constitution. The DEC elected Palo Alto GOP Chairman, Jesse Wolfe, to head the organization. Wolfe narrowly missed being elected to the State Central Committee at the convention last year. Woodbury County Co-Chair, Shaun Broyhill was elected vice chair of the DEC. Kay Rice of Boone county was re-elected Secretary by acclimation. In addition to King, there were a number of other guest speakers. State Party co-chair, Cody Hoefert talked about the lack of bench among Democrats and quipped about the “psychic” running against Steve King. Zach Whiting who is running against Republican turncoat, State Senator David Johnson, addressed the committee. Gwen Ecklund who was the longtime co-chair of Crawford County chaired the meeting. She currently leads the Iowa Federation of Republican Women and encouraged county parties to assist in creating chapters in their area. RNC Committeeman, Steve Scheffler discussed Iowa’s delegates at convention and the health of the party. 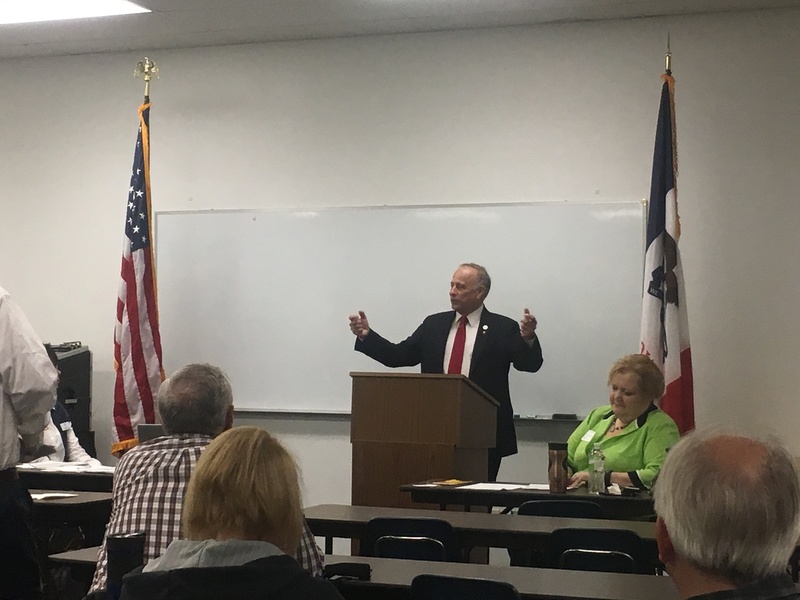 Kolby DeWitt who serves as the western Iowa Political Director discussed the effective field program in 2016 that enabled Republicans to successfully harvest absentee ballots and win victories from the court house to the White House. MacKenzie Dreeszen, a Polk County Political Consultant provided a presentation and materials to assist County Parties at fundraising. John Thompson is graduate of West Point and Harvard University. He is a member of the State Central Committee and a candidate for State Treasurer.